“I love Golden. I really do,” says Sean Smiley in explaining why this third generation Coloradoan decided to open his distillery, State 38, in a business park high above Clear Creek valley. “Golden is just a great little town with a lifestyle that is outdoor-centric, and thanks to Coors, alcohol-centric, and the town government was very friendly and helpful in getting us started in March 2013,” he said. 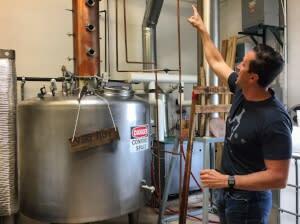 Though that seems fairly recently, it was a lifetime ago in the world of Colorado distilling. As late as 2004, Colorado did not have a single distillery. Today, there are 113, with 72 already selling product. Sean’s State 38 (Colorado was the 38th state admitted into the Union) was License No. 16, and he got into the business by going where no one had ever gone before. “I started distilling and experimenting in my garage and I knew I liked Tequila and I wanted to make it,” he says. Technically, “Tequila” is a licensed name and can only be made in Jalisco, Mexico, where the agave is grown. But there was a simple solution to that. Sean bought agave pulp from Mexico and distilled his own. State 38 was the first American distillery to ever make agave vodka and agave gin, and their Agave Blanco is still their number two selling spirit. Sean makes his own stills, which are contraptions that look exactly like you think they would when he tells you that it’s made from old farm equipment, parts from Home Depot, and even some junk yard items. He gets his agave from the largest producer in Jalisco, he gets some of his grains from Scotland, his rye from Canada, and he filters his vodka spirits through charcoal made from coconut husks. It’s an international business, and one that is fascinating -- and free – to learn about. 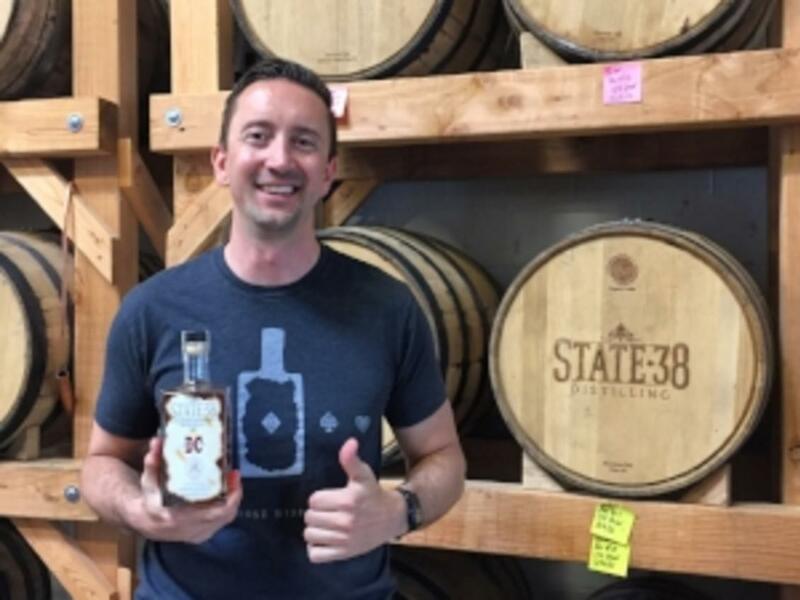 The State 38 Tasting Room (it’s decorated like an Old West Mining Saloon) is open Tues.-Sat., 4-6, and provides rolling free tours of the entire distilling process, along with two free samples of any of their product, including their number one seller, State 38 Bourbon. Sean’s perfect day in Golden would begin in Sassafras American Eatery on the banks of Clear Creek. The attractive place has dining alfresco by the creek. Their New Orleans/Southern inspired menu includes Beignets, Cajun Benedict (gulf shrimp and lump crab cakes, house-smoked Tasso & crawfish hash, poached eggs, fried oysters and smoked cayenne hollandaise. You’ll want to wash that down with a Hurricane or a Zombie! 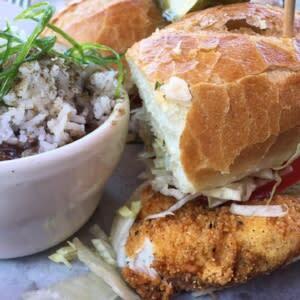 They also have red beans and rice, fried catfish, Po’boys, and jambalaya. After that, Sean needs a walk along the Clear Creek, before putting in some work. He and his team produce 350 bottles of different spirits every day. For lunch, it’s the “All You Can Eat Pizza Special” at Woody’s Wood Fired Pizza, a Golden tradition for a quarter century. Afterwards, Sean loves walking along Washington Ave. and talking with shop owners, many of whom are regular customers at State 38. From 4 to 6 pm every day, he’s at the distillery, giving tours, and welcoming guests to try his wide variety of spirits. On a perfect day, he’ll stop at the Sherpa House, where he loves any of their Indian-inspired dishes served with naan bread. “We couldn’t have found a better place or more welcoming community than Golden,” he says. The outdoor lifestyle, the small community, and the way all the small businesses help out each other, is all conducive to making this the ideal place to open a business,” he says.